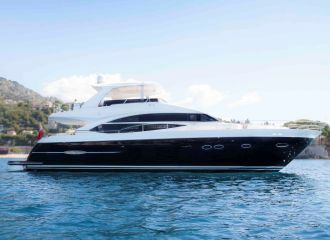 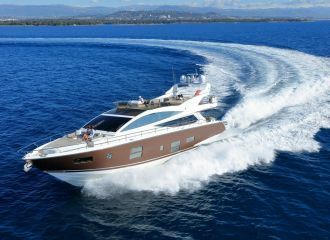 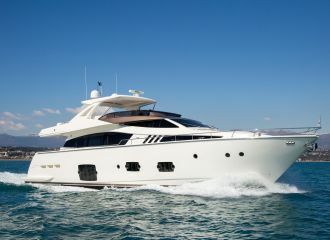 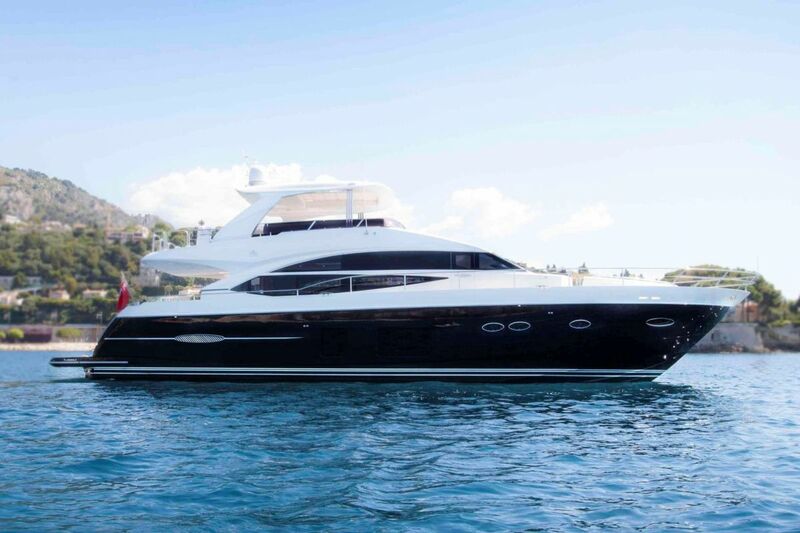 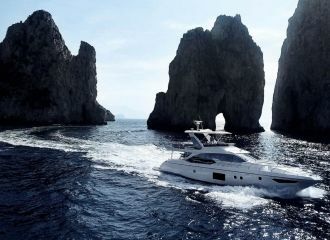 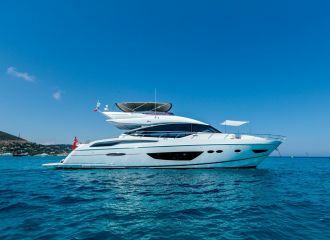 This Princess 72 yacht boasts a massive flybridge with multiple sunbeds, a large seating area and a bar. 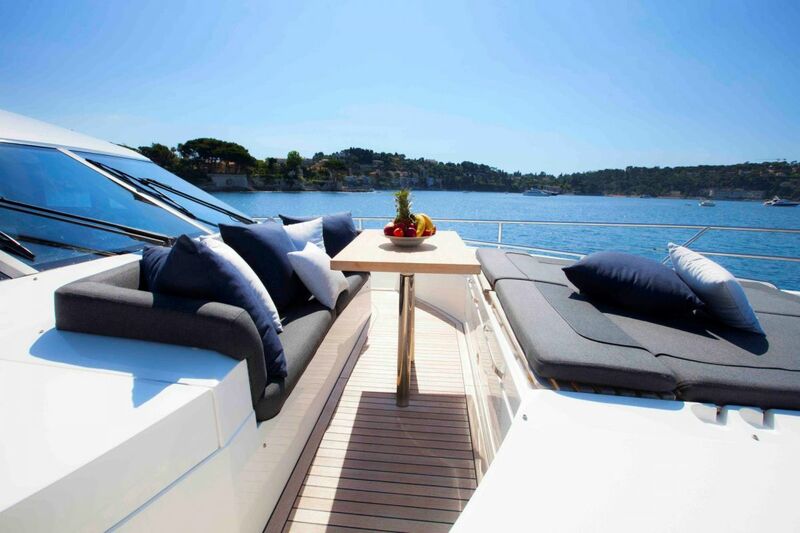 Another entertaining area can be found on the aft deck. 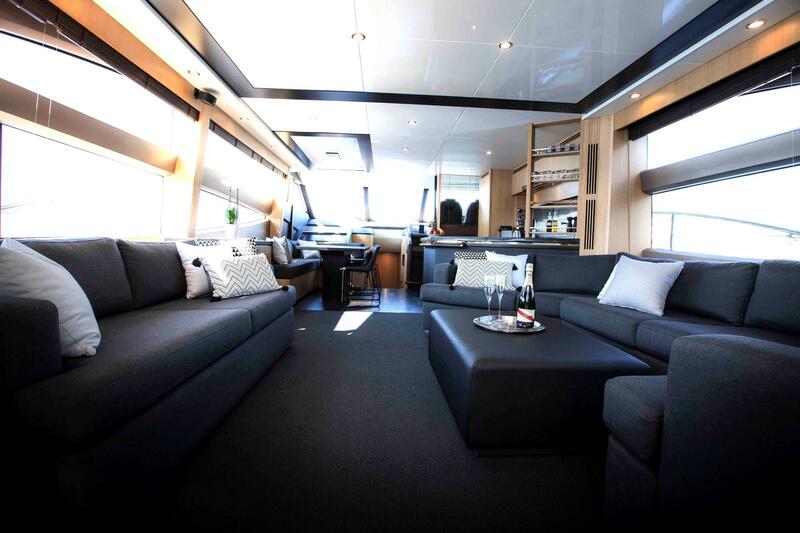 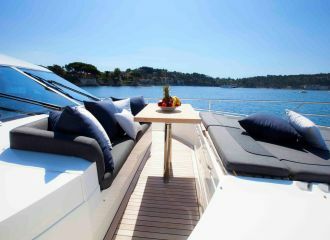 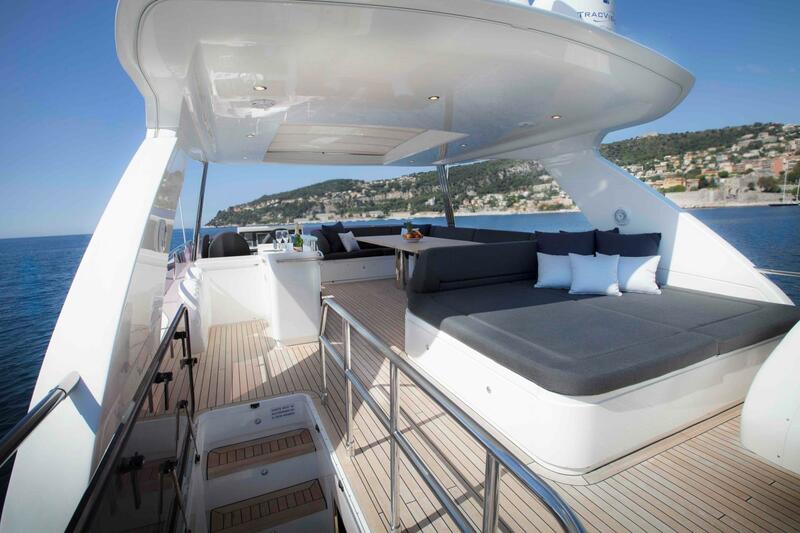 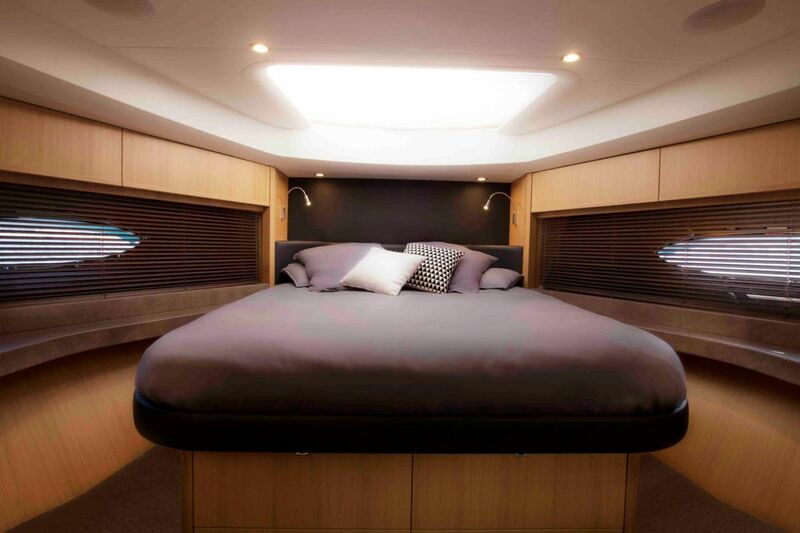 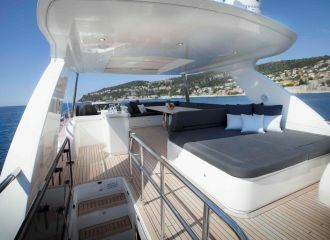 The foredeck features an additional sunbathing and seating areas. 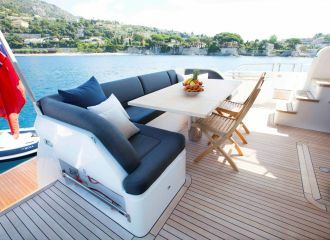 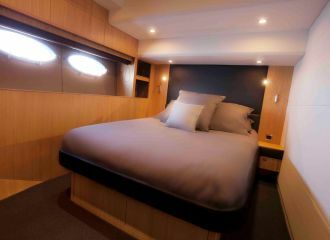 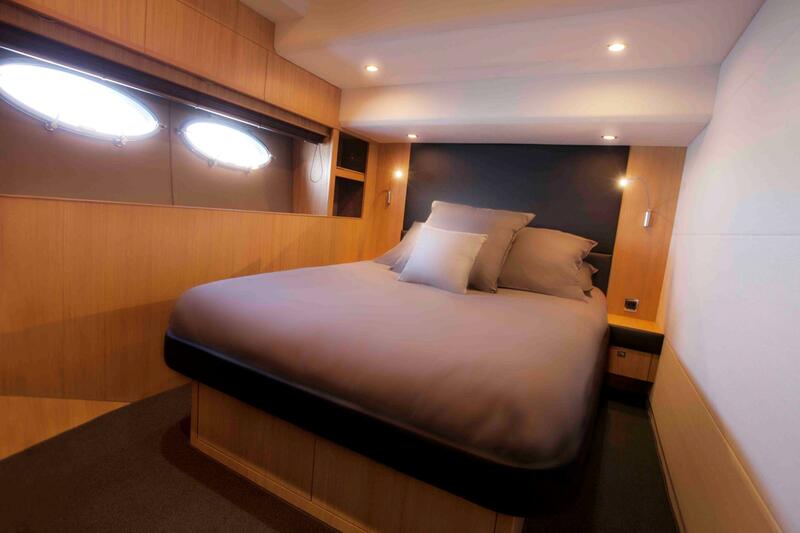 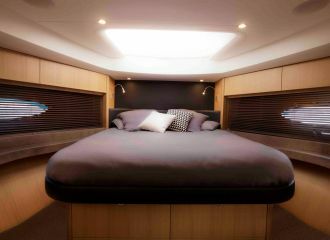 The yacht accommodates up to 8 guests in 4 good-sized cabins: 3 double and 1 twin. 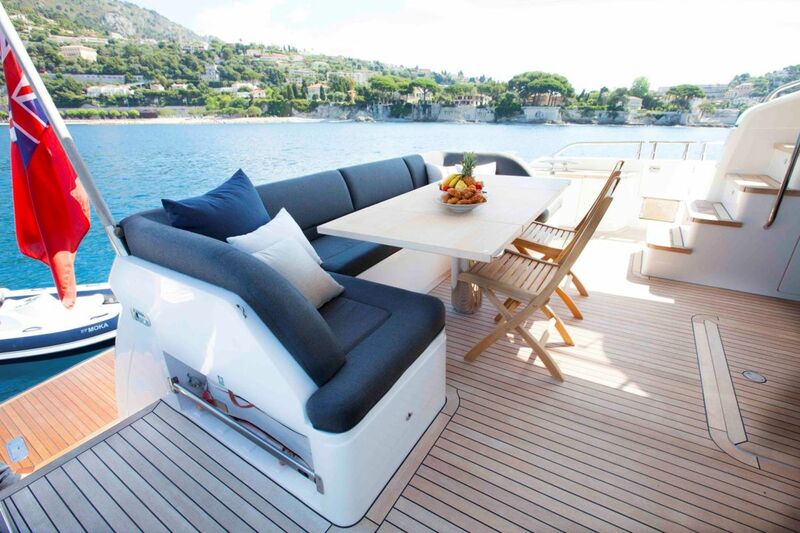 The Princess 72 yacht is fitted with stabilisers underway which means you can reach a good cruising speed without compromising on comfort; ideal if you want to make the most of your south of France yacht charter. 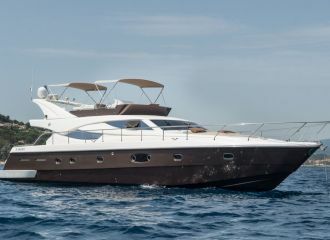 total 5600	€ Excluding VAT and APA ?